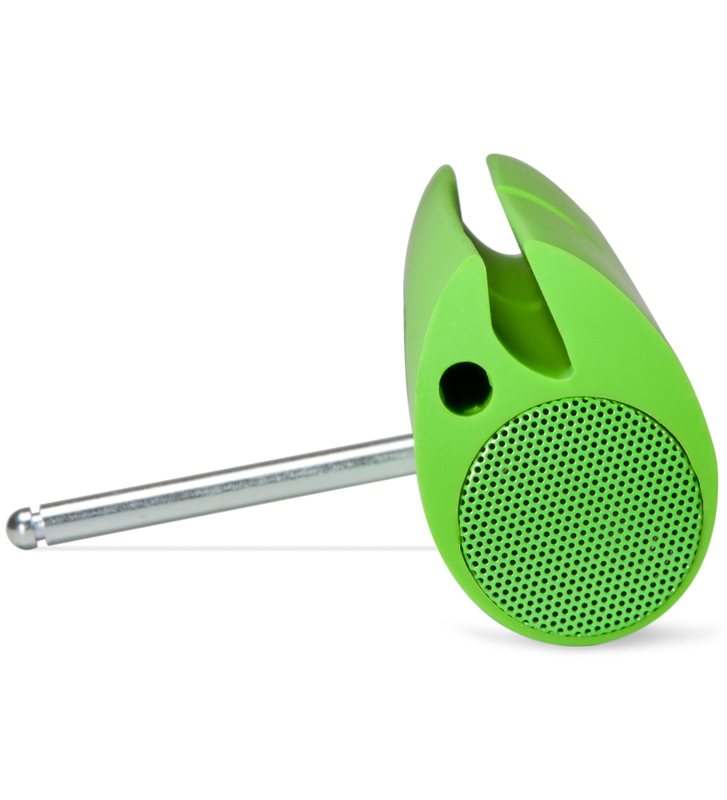 This next Bluetooth speaker review comes from Carbon Audio in the form of the Zooka for the iPad. What makes the Zooka special is it’s unique design, as not only does it offer wireless playback but it also includes a kickstand and grips to the side of the iPad making for a nice fit while holding the tablet. 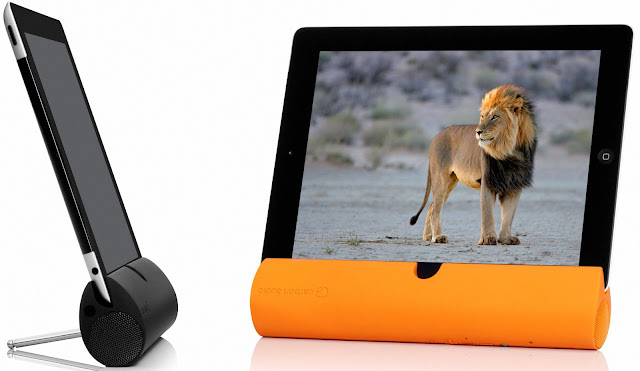 This speaker is built with a silicone design for a safe, fingerprint free, comfortable grip while on the iPad. On the opposite side from the grip lies the microphone and controls which consist of power, track, volume and sync buttons. It's time to see how this Bluetooth speaker holds up to wireless speakers past. 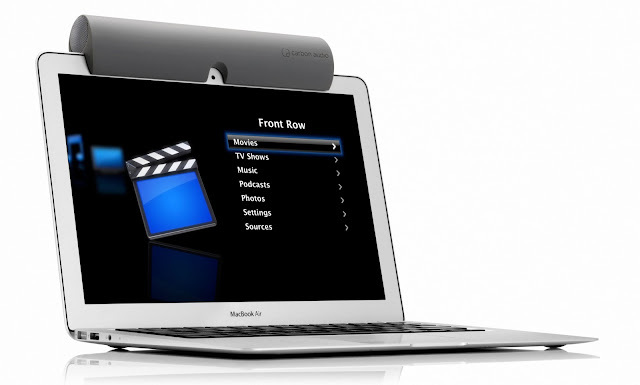 This is a sleek little speaker, compact and easy to carry around with me in my laptop bag and the kickstand just adds to the numerous ways in which this speaker works well with apple devices. One of my favorite ways to use was placing along the side of the iPad to make the tablet easier to hold while reading for long periods of time. When the Zooka was not holding my iPad upright, it was placed on the top of my MacBook Pro and with the cutout for the iDevices home button it did not cover the front facing camera, making for great conference calls with the microphone and louder speakers. You can tell when the buttons are pressed as they click when pressed, which I hugely prefer; mainly because most wireless speakers use touch sensors making it hard to tell if the input was recognized. On the other hand, the sound quality was less than what I was expecting, it does not improve the quality per se, but more along the lines of increasing the volume output of what your tablet or laptop is currently capable of. The only other issue I had was with the build quality, the reason to call this out was that the silicone wrap did not line up right, slightly covering the already small charging port. 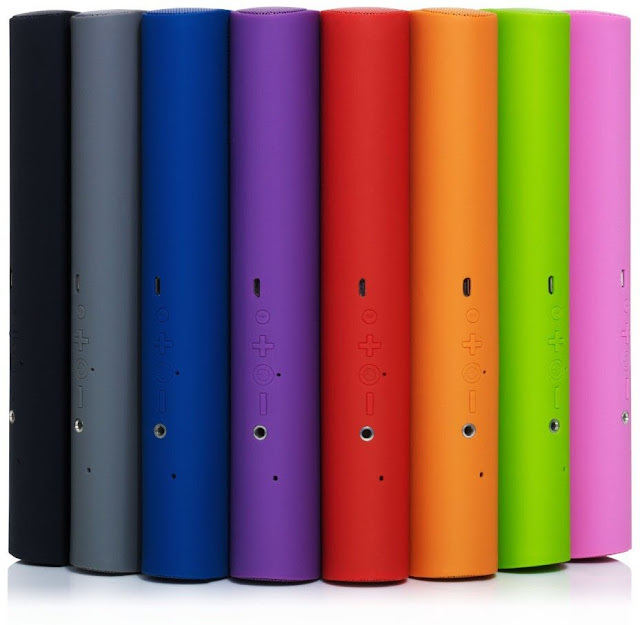 Downfalls aside, Carbon Audio’s Zooka is incredibly versatile, with a handful of devices in which it is capable of grabbing hold of and the additional volume it provides without need of a cable making this a portable speaker a great buy with the price tag of $99.99.